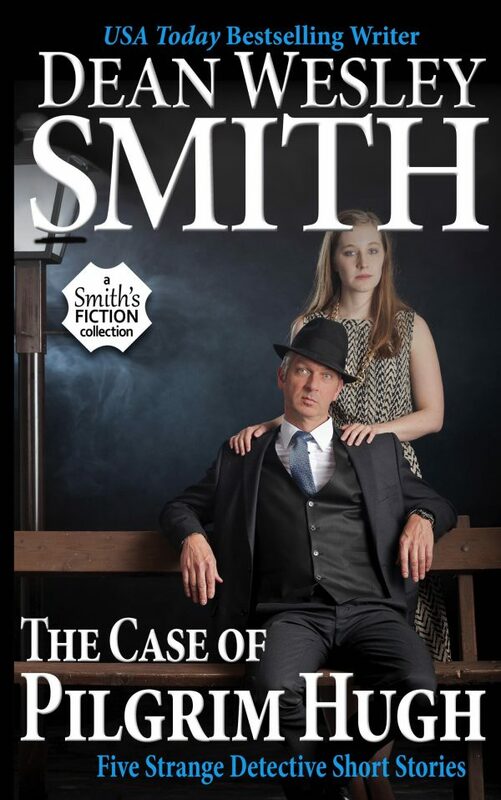 Dean Wesley Smith, famous for being one of the most prolific and wide-ranging authors working today, draws on his library of strange detective stories to produce this collection of short stories featuring Pilgrim Hugh, one of the weirdest detectives in modern fiction. The Case of Pilgrim Hugh collects five of the bestselling Pilgrim Hugh detective stories. The collection opens with “The Case of Intrusive Furniture,” a story of why a beat-up old couch, wrapped in plastic, ended up on an expensive home’s front lawn. The collection ends with “The Case of the Dead Lady Blues,” a story about how a woman by the name of Blue ended up dead, on the floor of her empty apartment, died blue. And the three stories in the middle puzzle just as much. Ride along with Pilgrim Hugh in his limo and discover why fans love Pilgrim Hugh and his strange way of solving crimes.